Freeman Ralph brings a strong record of initiating, negotiating and stewarding large-scale R&D projects and addressing technical challenges from both operations and research perspectives to his role as C-CORE’s Vice President, Oil & Gas. Formerly Executive Director of C-CORE’s Centre for Arctic Resource Development (CARD), Dr. Ralph led a team of seasoned research engineers and rising research stars to complete and expand CARD’s 5-year research program investigating challenges to environmentally responsible, sustainable and cost-effective operations in Arctic regions. Prior to this, as C-CORE’s Director of Ice Engineering, Freeman worked extensively on ice loads and ice management for developments off Canada’s East Coast, the Shtokman program, the Kashagan Field in the Caspian Sea and several Arctic regions under consideration for oil and gas exploration and development. Having joined C-CORE in 1999 after completing his M. Eng., he has dedicated his career to solving problems and reducing the risks posed by operations in challenging environments, while protecting human safety and the environment. 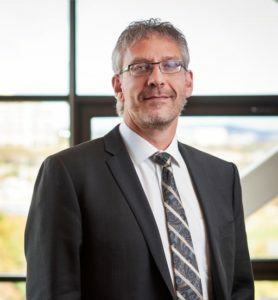 A proud three-time graduate of Memorial University, Dr. Ralph holds undergraduate, Masters and Doctoral degrees in Ocean and Naval Architectural Engineering. His a doctoral research focused on the Probabilistic Design of Ships for Arctic Operations, and the Polar Code. In 2011 the Professional Engineers and Geoscientists of Newfoundland & Labrador (PEGNL) acknowledged Freeman’s contributions to arctic engineering and his community leadership with their Early Achievement Award.